The University of Maine at Presque Isle’s very own Caleb Ward will serve as the next speaker in the 2015-2016 Distinguished Lecturer Series on Thursday, Feb. 11, at 7 p.m., in the Campus Center. 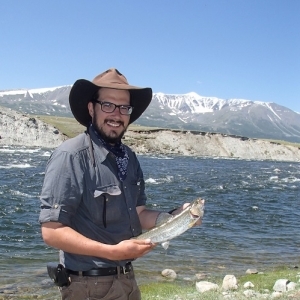 Ward, who is the third UMPI student ever to serve as a student Distinguished Lecturer, will deliver his talk Mongolia: The Research Trip of a Lifetime. His talk is free and the public is encouraged to attend the event. Ward, a UMPI senior majoring in Environmental Science and Sustainability and concentrating in glacial geology and archaeology, traveled to Mongolia in the summer of 2015 to take part in a 60-day glacial geology research trip with a team hailing from Maine, New York, Illinois, and Scotland. Ward helped to conduct research in the Khoton Lakes area of the Altai Tavan Bogd National Park, collecting samples from glacially deposited boulders so scientists can construct a chronology of glacial retreat in the area over the past 50,000 years. Ward, the son of a Maine Game Warden and a school teacher from Masardis, Maine, has gained a lot of life experience so far—he’s a nontraditional student who’s worked in all sorts of settings: as a butcher, hunting guide assistant, construction worker and movie theater technician—but had never been farther from home than Washington, D.C. before this trip. 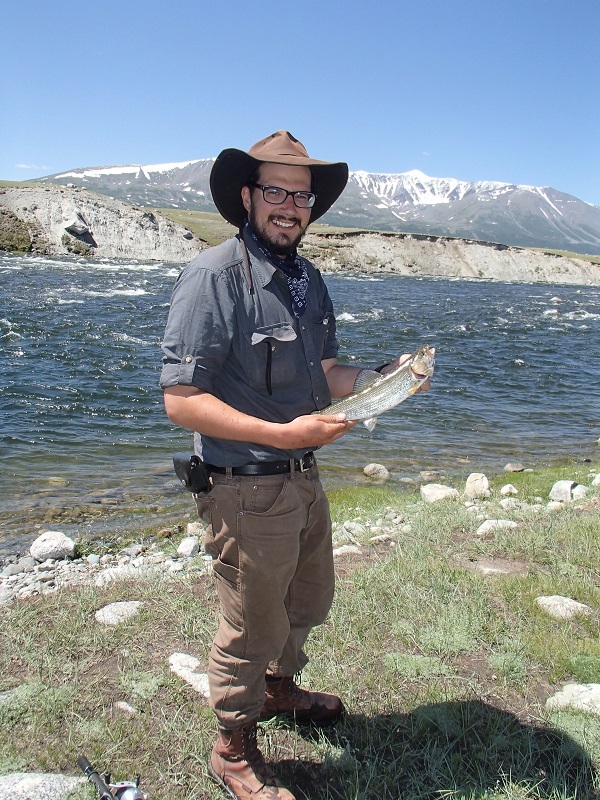 He was selected to participate in the expedition by UMPI instructor David Putnam, who has traveled to Mongolia for several research trips. Putnam is the recipient of the 2015-2016 Zillman Professorship and utilized some of the funding from that professorship to bring Ward to Mongolia. During his trip, Ward had the opportunity to experience many new things, including climbing high into the Altai Mountains and finding Bronze Age petroglyphs, fishing in the pristine waters for grayling, and being welcomed into the homes of the area’s Kazakh herders. He also witnessed flash-flooding in the Gobi Desert, experienced many 110 degree days, shivered through 6 inches of snow in July, and survived several near misses from lightning strikes. During his talk, Ward will share photos and stories from his trip, outline the main scientific goals of the expedition, and share the experiences he gained half a world away. The University’s Distinguished Lecture Series was established in 1999. Each year, the UDLS Committee sponsors four to six speakers who come from Maine and beyond, representing a range of disciplines and viewpoints. While the emphasis tends to be on featuring visiting academics, it is not exclusively so. The speakers typically spend two days at the University meeting with classes and presenting a community lecture. This is the second year that the University has invited students to participate in the series as Distinguished Student Lecturers. All are invited to attend Ward’s distinguished student lecture. For more information about this event, contact the University’s Community and Media Relations Office at 207-768-9452 or email umpi@maine.edu.